AMSTERDAM, The Netherlands – Since its recent introduction, the new Vista 9 digital mixing console has quickly established itself as the console of choice in some of the world’s most prestigious facilities. Current users include the Peel Group in the UK, France Télévisions, Euro Media France’s SFP Studio, NRK (the Norwegian Broadcasting Corporation), China Central Television and others. The Peel Group purchased two Vista 9 consoles for its Media City UK development in Manchester, UK. One of the Vista 9 consoles will be used exclusively in the main recording and broadcast studio by the BBC Philharmonic Orchestra. France Télévisions is France’s national public television broadcaster. A Vista 9 console is being used by its France 3 and France 5 TV stations. In addition, a Vista 9 is installed in SFP Studio’s OB van. SFP Studio’s is a broadcast facility of Euro Media France that is part of the Euro Media Group, Europe’s leading provider of TV and film facilities and services. NRK (Norwegian Broadcasting Corporation) is the Norwegian-owned television and radio public broadcasting company, and a founding member of the European Broadcasting Union. It is the largest media organization in Norway. 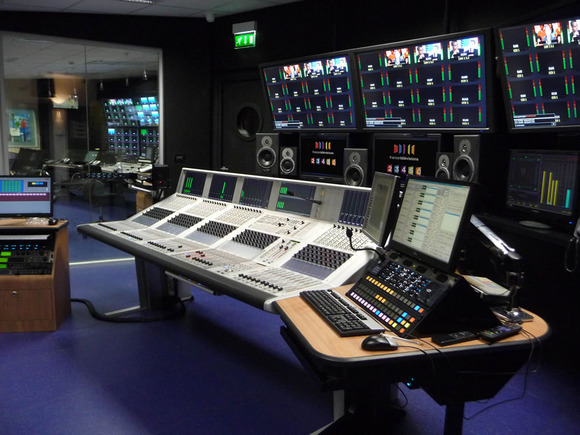 NRK purchased the Vista 9 for use in its brand-new HD OB van. China Central Television (CCTV) is the national TV station of the People’s Republic of China. It has a network of 19 channels that are broadcast to more than one billion viewers. CCTV has purchased the Vista 9 for use in its OB truck. The Studer Vista 9 is a state-of-the-art digital mixing console with the exclusive Vistonics™ user interface and TFT-based meters that provide a clear, easily understandable display of signal levels and channel assignments. The Vista 9 offers advanced features such as the TFT meters that can display anything from mono to 7.1-channel signals; a HISTORY mode that records events in the audio path of each channel and enables the operator to review them up to 30 seconds after the event has occurred; seamless integration with other Studer products via Studer RELINK network technology; and the patented FaderGlow™ feature that illuminates each fader in one of eight assignable colors to provide the operator with an instant overview of channel groupings – which is especially useful during live production.